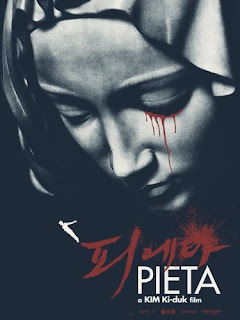 Pieta is latest movie from exceptional and famous Korean director Ki-duk Kim, known for such tranquil and dramatic masterpieces as 3-Iron, Spring, Summer, Fall, Winter... and Spring, Samaria and many more that I had no opportunity to watch yet. He is no stranger to Cannes and Venice film festivals, however this particular movie triumphed at Venice film festival earning most prestige award there, Golden Lion. 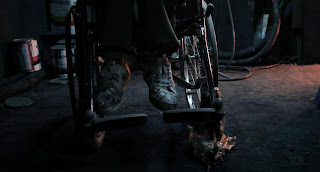 Gang-Do (Jeong-jin Lee) lives in a small once blooming industrial district known for it's crafty metalworking, that now is laying down in poverty and is slowly being swallowed by the big city. People leave, and the ones that stay are unable to make ends meet. Gang-Do is a cruel, heartless debt collector for a local loan shark. One day he encounters a woman, who claims to his own mother whom abandoned him at birth. Thinking it's some kind of cruel joke, he rejects her claims, but she doesn't let go and is tenacious so eventually after some times passes they start to bond together. But who she really is? What are her reasons for appearing so sudden? Recently there has been big influx of fantastic Korean movies whose central theme revolves around mother figure. Almost all the influential Korean directors have made a movies about it, such as Mother, Poetry, Secret Sunshine. Which in itself is not a surprise, considering that every living person in the world has a mother, so the story possibilities are quite extensive. Now it was Ki-duk Kim's time to make one. It's a bleak, and sad movie, devoid of any lasting happiness. 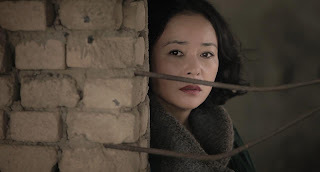 Jeong-jin Lee's character is cruel, cruel to his new found mother, to creditors, to himself. The world that raised him was cruel too. What grabbed my attention is interesting camera work that was present in the movie, almost all the shots were filmed with hand held camera, even the static close ups, which made for some shaky, and at times amateurish experience, which might be what director was going after. 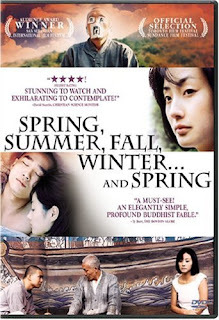 Ill be honest, this so far is my least liked Ki-duk Kim's movie. 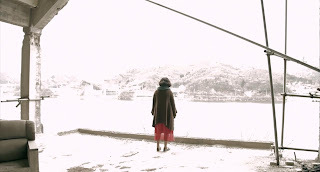 While it was quite gloomy and brutal, I felt it somehow lacked that realism which I love in movies, the feeling that such people exist and such events might happen to them. It felt more like theater performance on the big scene with set pieces instead of actual world out there. Maybe it was intended to be in a such way, isolated, out of this world experience like famous Michelangelo's sculpture Pieta, an artwork to be displayed and seen alone, by itself. To capture a moment of life. Nonetheless, it didn't win Golden Lion for no reason, so while it may not be to my liking, definitely watch it and be a judge for yourself. Samaria (or known as Samaritan Girl) is another outstanding work from director Ki-duk Kim. Filmed year after he gained international acclaim with Spring, Summer, Fall, Winter... and Spring and in the same year as his other masterpiece 3-Iron. This movie notably earned him Silver Bear award for Best Director in Berlin International Film Festival 2004. Two teenage girls dream about trip to Europe, and as the source of the money they engage in prostitution. Jae-yeong (Yeo-reum Han) is the one who sleeps with clients and Yeo-jin (Ji-min Kwak) leads a role of improvised manager, a pimp, setting up "meetings", managing money and covering her friend while on job. 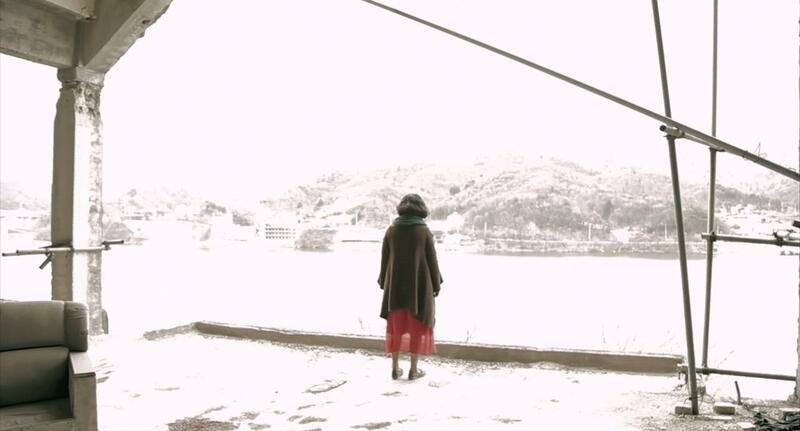 One day she fails her duty and Jae-yeong finds herself amid police raid and in attempt to escape she hurts herself badly and soon after she dies in hospital. This turn of events leads Yeo-jin into guilt driven journey to pay back the money to past clients and sleeping with them in some kind of twisted redemption for her part in death of her friend. Her father, who is police detective, eventually learns about her doings and while unable to confront her, he instead takes his anger onto man with whom she slept. Samaria is split into three chapters, Vasumitra, Samaria and Sonata, each trying to focus on different thematic aspects. Ki-duk Kim wanted to shed some light onto topic about prostitution of minors that is a big problem in Korea, but more important, being accomplished showing human nature in his works, to provide a closer look into relationships of people involved in such affairs. And he does it masterfully. A portray of tragedy that touches everyone around, it's full of believable sorrow and grief. Another Korean drama where state of happiness is nowhere to be found, don't come looking for it here. 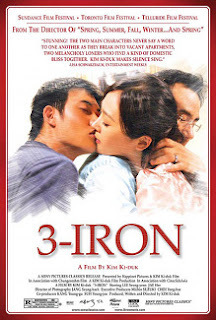 Interesting fact about the movie, similar to 3-Iron, is that it was filmed in about 11 days with tiny budget, a sign how skilled and crafty Ki-duk Kim and actors he worked with are, to be able to produces such quality film in such short time, showing that the budget and time don't play big roles in creative processes handled by someone talented and willing to create. If Silver Bear is not convincing enough to watch it, I don't know what is. Highly recommended. Spring, Summer, Fall, Winter... and Spring (Bom yeoreum gaeul gyeoul geurigo bom) is another masterpiece from director Ki-duk Kim (see 3-Iron). This time the theme he touches is about cycles of life, the passage of time, and emotions that accompany us during the journey. He does it brilliantly, with small cast and limited, yet picturesque set. This film is imbued by Buddhism themes, and can be easily viewed as one of the many Buddhist fables. It's slow and uneventful, yet it captivates by it's simplicity and sheer beauty, be it of nature or human. 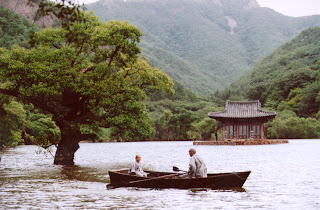 Production of two countries, South Korea and Germany, with full creative control of Ki-duk Kim, whom himself makes a cameo, in a role of older monk towards the ending of the movie. Movie definitely not for everyone, yet if it clicks, it's one of the joys that shows how powerful film can be in masterful hands.